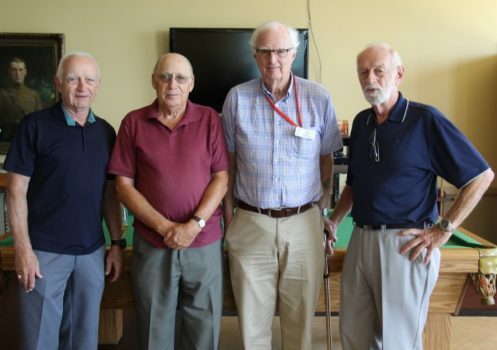 Feature photo caption: Four of the ten RMC volunteer tour guides – from the left: Henri Cardinal; Gwyn Griffiths; Bob Thomas; and Gerry Stowe who all attended the Kingston monthly luncheon in Sep, where we were able to et the photo. For the other six names please read the article. For a number of years volunteers from the Kingston Branch have conducted historical tours of the College for visiting VIPs. This programme was initiated by Gwyn Griffiths to relieve the pressure on Ross Mackenzie, the Museum Curator of the day. In recent years this has been formalized to an extent with requests for tours being coordinated at the College level by Lena Beliveau, the Museum Curator, and the assignment of guides then being done by Bob Thomas. A total of ten members have volunteered, sufficient to provide coverage in the absence of snowbirds and cottagers. It has been a long-term plan of the Heritage and Museum Committee to expand the programme to support the College staff and cadets. Last year Frank Norman conducted a tour for a small number of new Training Wing staff members. After some months of discussion a challenging programme of tours was conducted in late August. Henri Cardinal and Gilles Langlois conducted tours in French, while Gwyn Griffiths, Ross Lambert, Frank Norman, Chuck Oliviera, Bob Thomas and Ashley Mendes (Assistant Museum Curator) conducted tours in English. The unavailability of John Moyer, Ed Murray and Gerry Stowe meant that some conducted more than one tour per day. The first was a tour on 14 August for new Training Wing Staff. This was followed by eight tours on 20 August for FYOP bar staff and a further eight tours on 26 August for the newly-arrived First Year cadets. These were split between afternoon and evening sessions. They were challenging as most of the groups were quite large and had to be planned in and around in-routines. The First Year tours took place a day after their arrival in extremely hot and humid conditions. Nonetheless, they were attentive (if more than a little overwhelmed) and it is hoped that they gleaned some idea of the proud history of RMC. It is hoped that these tours will be repeated annually and expanded to include all new military and academic staff so that those who are not Ex-Cadets will gain an insight of the history of the College and the range of success of graduates. 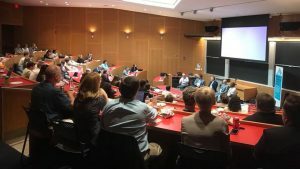 An RMC professor, Dr. Holly Ann Garnett, was one of the co-organisers of a workshop on building better elections, held at the Massachusetts Institute for Technology in Boston, USA, last week. The workshop sought to consider how elections could be better run during times when electoral officials face new major challenges such as cybersecurity, resource constraint and voting practices are often not as inclusive as they could be. The workshop was held in collaboration with MIT Election Lab and the Electoral Integrity Project of Sydney/Harvard University and the University of East Anglia. It was partially funded by a Connection Grant from the Social Sciences Humanities Research Council of Canada held through the RMC Foundation. There were over one hundred delegates from around the world, with representatives from academia, the international and national practitioner community and industry. A lunchtime roundtable seminar included representatives from the Department of Homeland Security and state electoral officials, who reflected on the challenges on cyber-security which followed after the 2016 Presidential election. Select papers from the conference will be published in special issues being edited by Garnett and James. 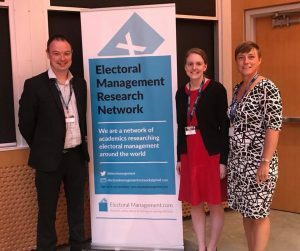 Papers are available on the website here: http://www.electoralmanagement.com/events/, with blogs from paper givers appearing here: http://www.electoralmanagement.com/blog/ during next week. 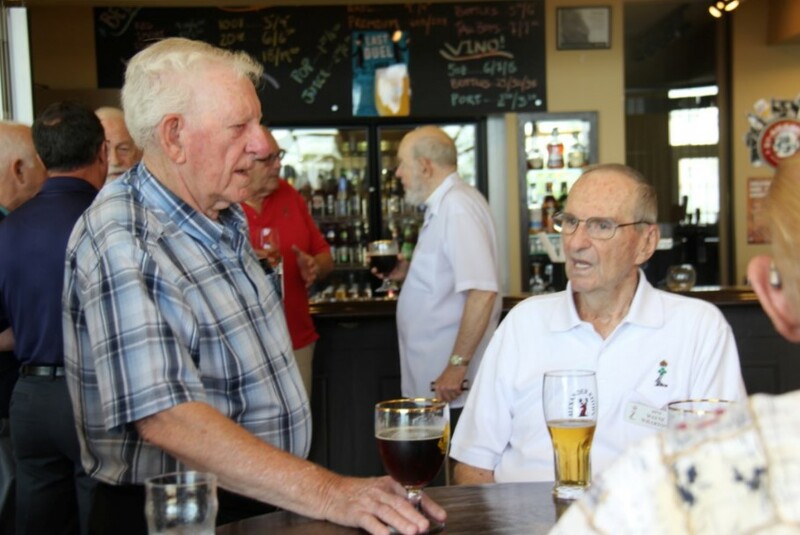 This past Wednesday, being the first Wednesday of the month, saw the Kingston Branch of the RMC Club hold their monthly luncheon at the College’s Senior Staff Mess. The small group in attendance meant that the Branch went without their usual speaker. Those present took the time to mingle and catch up.